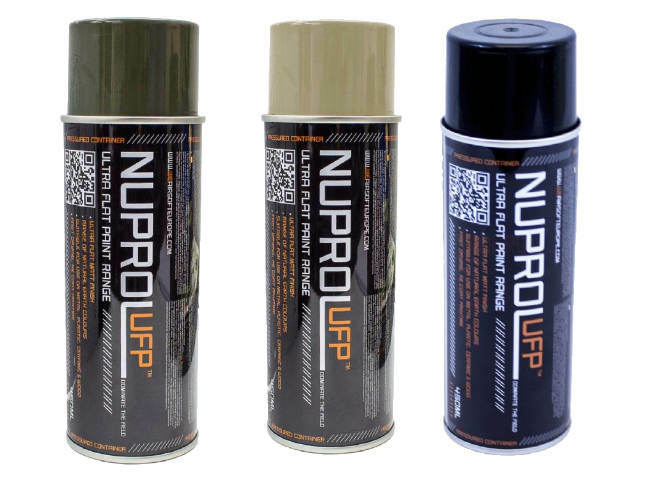 Tjhe Nuprol Ultra Flat Paints or UFPs in tan, olive, are good paints and value for money. The NUPROL UFPs are very and as good as some of the more expensive brands but costs less and is good value. 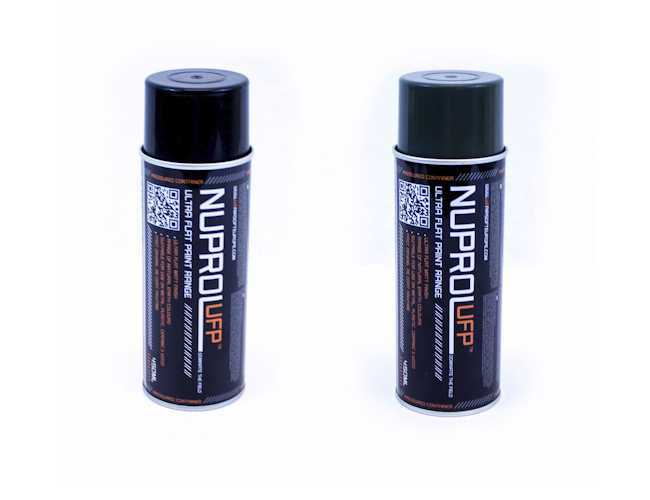 They come in 450ml cans for ease of handling and from £3.99 to £7.99 you cannot complain.If you follow the drying time instructions you can apply several thin coats which is better than one large coat. This makes sure you get even and good colour coats The key to getting a paint job right is to follow the drying time instructions. This paint is made to give a tough hard wearing coating. it will bond to most material including metal ,wood , glass ,plastics with no sanding required. It is designed for painting airsoft and hunting equipment.